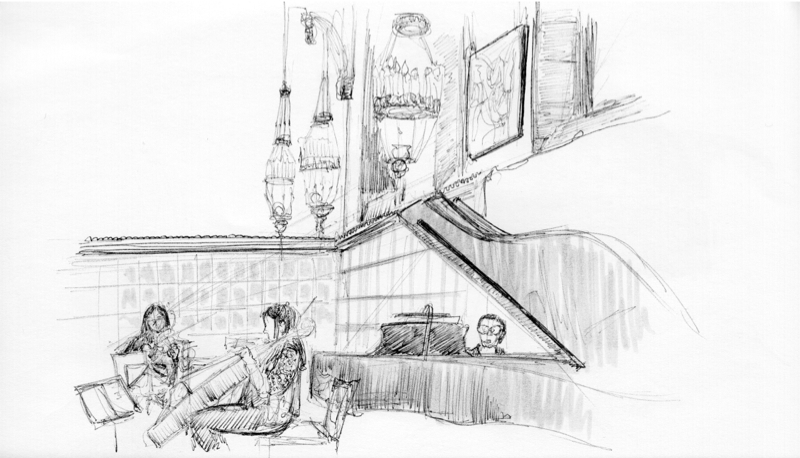 Last Sunday I had the opportunity to sketch at the Hart House with a couple fellow sketchers. 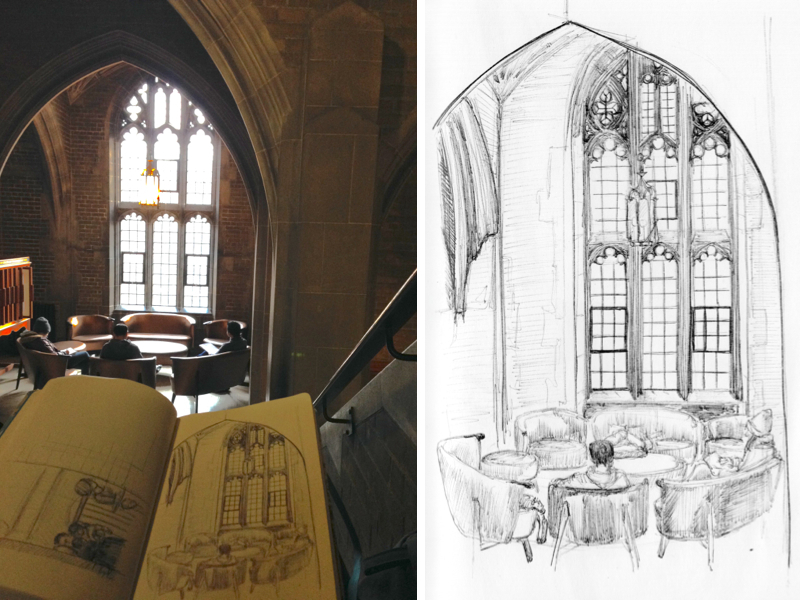 It was my first time in this building, which is part of the U of T campus, and I was amazed by the architecture. The Hart House was built in 1919. It was designed by architect, and master of the Gothic form, Henry Sproatt. The building is said to be of Collegiate Gothic style. Upon entering the building I could see right away that special care had been taken in designing this building because everywhere I looked, the scene was picture perfect. There is so much to draw, it was hard to settle on one place. I decided to draw a cute little sitting area and spent about two hour sketching the details of the piece above. As I was drawing, I was reminded of some of the lessons I learn during the last symposium about framing. I think it turned out well. Coincidently, there was a quartet called Ensemble Made in Canada performing the same day. 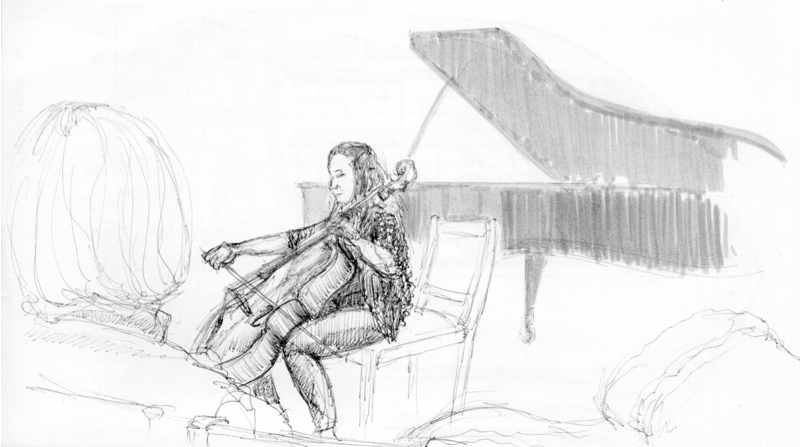 Some of us decided to attend the concert and sketch the performers. It was a very interesting experience for me to draw while listening to music being performed live, like some sort of art inception. Definitely something I would do again.